Remote control vehicles are great fun, they go backwards, forwards, left, and right....but what happens when you get bored with the default? I know, tow the family SUV! 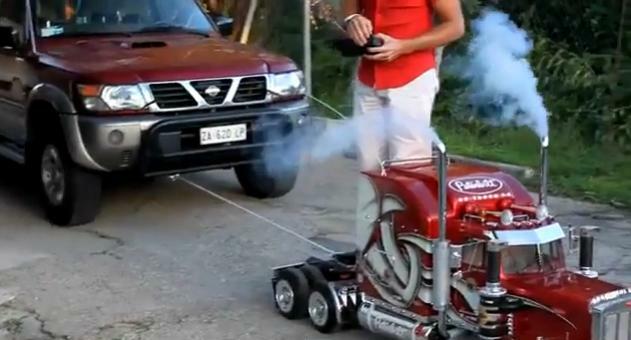 This video, recorded in Australia shows a large scale R/C truck actually towing a Nissan Patrol. Judging by the smoke coming out of the exhaust, it's safe to say the truck runs on petrol. That's another item I'll be adding to my Christmas wish list.